I have this question all of the time. Why do you put your vegetable oil in the refrigerator? When people see that I have my cooking oils in the refrigerator they wonder why. Well, I'm going to tell you. 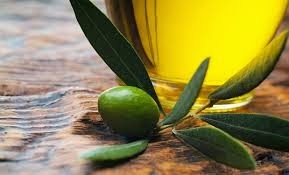 Oils are very susceptible to heat and light, so once they are cold pressed from a nut, olive or grain, they begin to oxidize. Now, if you use a lot of oil and use it quickly, say within a couple of weeks of opening, then this is likely not an issue, but this does not apply to most of us. Before anyone calls me out, let me say that when properly stored, olive oil and coconut oil are the only oils that do not need to be refrigerated. Nut Oils - Peanut, Hazelnut, Walnut, Avocado etc. - These should all be kept in the refrigerator. Buy small quantities and use as soon as possible. Cold pressed only. Olive Oil and Coconut Oil – No need to refrigerate. Buy the organic coconut oil as it is not very expensive. Soybean Oil, Corn Oil, Cottonseed Oil, Canola Oil/ Rapeseed Oil, Sunflower Oil, Sesame Oil, Grapeseed Oil, Safflower Oil, Rice Bran Oil - These should all be kept in the refrigerator. I’m not a big fan of some of these oils in general, as there are so many better choices for oils with less issues surrounding them. In addition, many of these oils are GMO. So, that is pretty easy, yes? However, the key to cooking healthy is to use oils that have been minimally processed, so here are a few additional guidelines. · Make sure that you are using the right oil for the right job. If you are using high heat, then you need an oil with a high smoking point. This means that the oil can take high heat without creating unhealthy free radical compounds. · Make sure the oils you buy are expeller pressed or cold pressed. This means no chemicals or harsh methods were used to extract the oil. It may sound crazy, but if you make a healthy meal and cook it in a chemical laden oil, why bother? · Buy your oil in smaller sizes, so you can use it quickly. Buying large quantities of oil is not a good place to save money. · Soy Bean, Peanut Oil, Sunflower or Grapeseed Oil - Perfect for high temperature cooking such as stir frying. Stay away from “refined” oils, as they have been processed to allow them to be used in even higher heat situations, and you really have no idea how they were “refined”. · Extra Virgin Olive Oil –Perfect for light sautéing and adding just after cooking for extra flavor. Great for salad dressings. · Coconut Oil – Fairly good all-around oil with a wonderful flavor, just not for very high heat situations. Amazing on popcorn. Hopefully this has given you some food for thought and I encourage you to do your own research and decide what works for you.